The days of high viewership ratings have gone and with the recent probe on ratings manipulation, it seems even less likely to see big numbers nowadays. 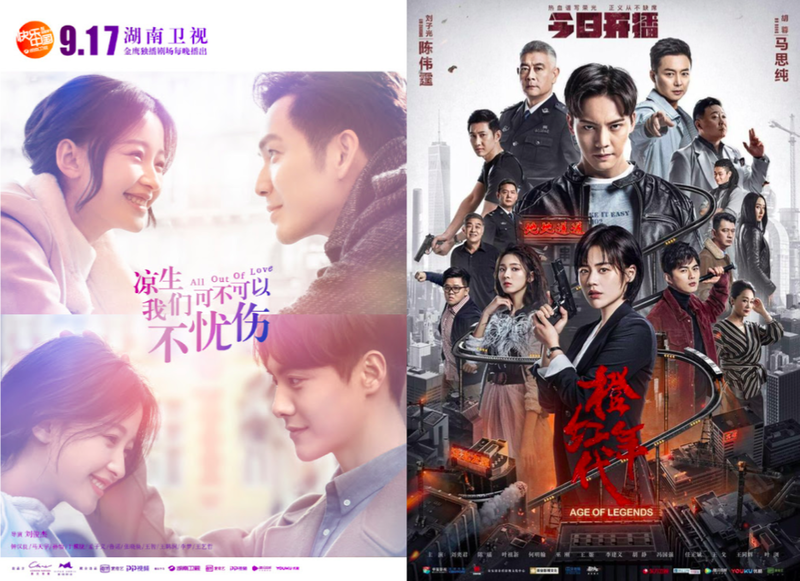 All Out of Love and Age of Legends are two distinctly different dramas that premiered last night - one is a romance melo and the other is crime action. All Out of Love has garnered CSM52 ratings of 0.695%. I did expect it to do better based on the genre though Age of Legends is not far behind with CSM52 ratings of 0.577% on Dragon TV. 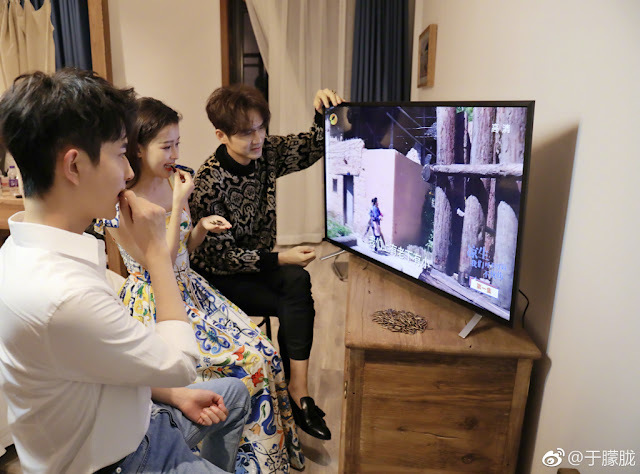 It has also brought in 0.26% on Zhejiang TV. Numbers aside, it looks like the cast from both dramas had fun watching the show which is all that really matters anyway. 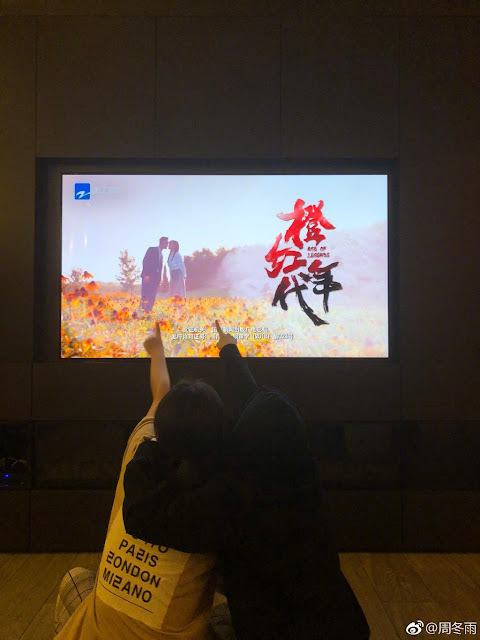 Wallace Chung, Sun Yi and Alan Yu Menglong have gathered around to watch All Out of Love while Sandra Ma and her Soulmate co-star Zhou Dongyu sat back to catch the Age of Legends premiere. I ended up watching Age of Legends too and found it entertaining and very William Chan, if that makes any sense. Liu Yijun who plays his big brother is a character that aspires to become the next Pablo Escobar. Why are they sitting so close to the screen? 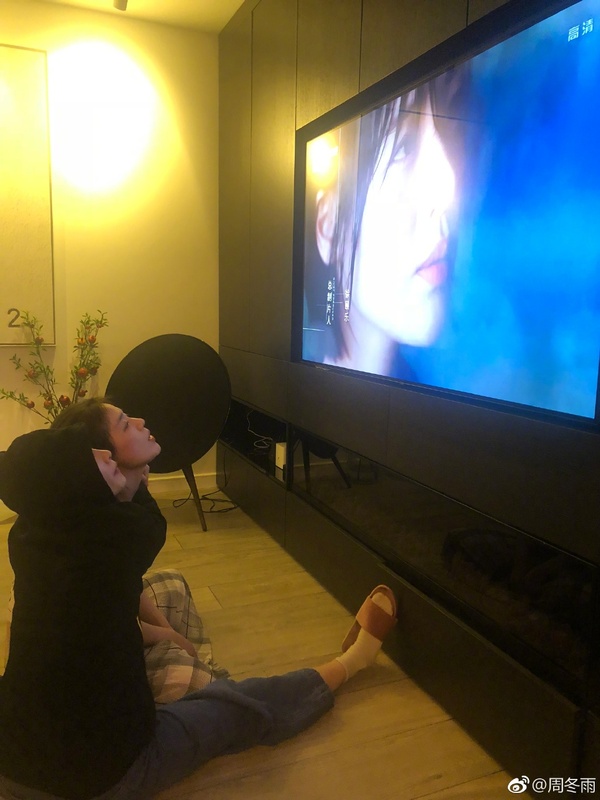 Haha i think they just don't want to share their place so they sit close to the TV and take a photo. 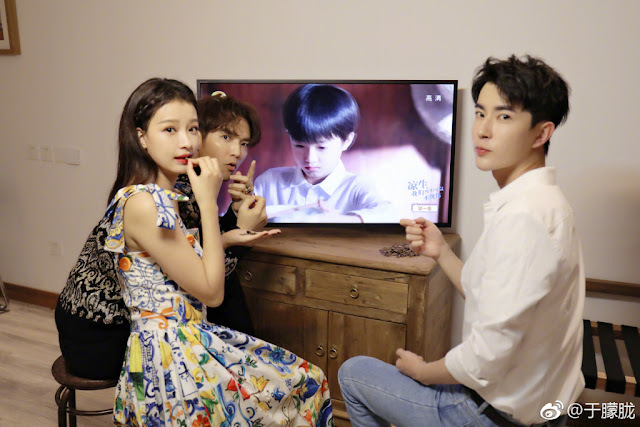 Stars promote their dramas like that all the time. So cute to see Sandra Ma and Zhou Dongyu. Seems they are genuinely besties after Soulmate. 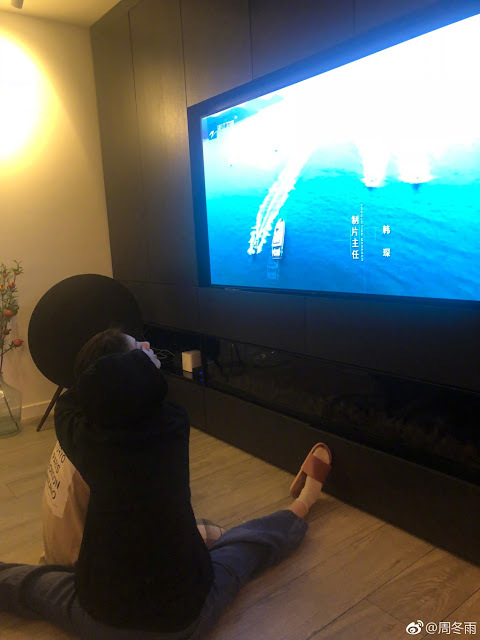 I wonder if Ma Tianyu didn't join in because apparently his scenes have been heavily cut in favour of giving Wallace a bigger part. I can't with William Chan's hair in his drama. It is godawful! I thought MTY’s role had some problems with SARFT. That’s why Wallace had the bigger part. Even in the earlier promotions of this series, it was evident that Wallace role would be significant . Look at the posters that were released. When Hunan had the promotional event to promote the series back in November last year, it was Wallace who headline it along with Alan. When Hunan held their conference to introduce the films they’ve bought, the poster showed Wallace with Sun Yi embracing. Perhaps his role became even more significant when they went back to refilm but the script didn’t change, he ends up with the girl at the end. The series adaption will take a different direction from the novel with a happy ending. Ray fans claim that Wallace was merely suppose to be a guest star just so that it would be appealing to Hunan to buy the broadcasting rights and that Ray is the lead, but from the very start the production team always mentioned Wallace name first when introducing this series, so I highly doubt they only had a minor role in mind for him. A lot of Ray's Chinese fans believe Wallace bullied his way to get the lead role. His fans even bought marketing and hot searches to spread those rumors. I think the problem lies in the fact the novel's is named after Ray's character Liang Sheng...so its hard for many to comprehend how his character isnt lead in the drama adaption. Thats an excuse his fans use, which is understandable. can someone tell me whats wrong with ma tianyu character?